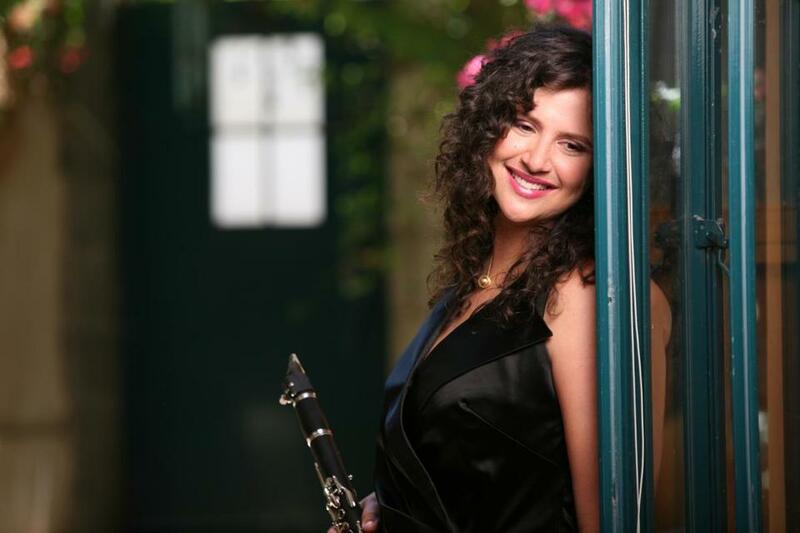 Among those performing during the “Newport Jazz Festival: Now 60” are sax/clarinetist Anat Cohen (pictured), guitarist Mark Whitfield, trumpeter Randy Brecker, and singer Karrin Allyson. How do you keep a 60-year-old summer music festival up, running, and vital? Well, one way is to run a promotional anniversary tour in February. At least, that’s what the Newport Jazz Festival is doing. The festival’s producers have mounted a 21-date tour with a band of all-stars, under the name “Newport Jazz Festival: NOW 60,” fronted by saxophonist and clarinetist Anat Cohen. Their second stop is next Thursday for a Celebrity Series of Boston concert at Berklee Performance Center. The band will also include singer Karrin Allyson, trumpeter Randy Brecker, guitarist Mark Whitfield, pianist Peter Martin, bassist Larry Grenadier, and drummer Clarence Penn. Although this is not a unit of marquee “big names” (no Pat Metheny, Joe Lovano, or Esperanza Spalding), it is a formidable group, and reminiscent of the kind of casual Newport All-Stars bands that festival producer George Wein, 88, used to lead. But whereas the old George Wein Newport All-Stars focused on the blues, standards, and swing that Wein the jazz pianist liked to play, this band has a different agenda. “I felt very strongly that coming into this 60th-anniversary festival, we needed to make sure that the band not only represented the tradition of Newport, but that it is a forward-thinking, contemporary ensemble that would play music reflective of what’s happening in jazz and particularly global music today,” says Danny Melnick, 46, associate producer of the Newport Jazz Festival as well as producer of the “NOW 60” tour. To that end he looked for a band that could draw from a vast repertoire of material from the entire history of the festival as well as bring in original material and arrangements. Cohen first drew Wein’s attention when he saw her perform in duet with his old friend and Newport All-Stars bandmate, the guitarist Howard Alden, at a Sidney Bechet Society concert in New York in 2008. “It was the joy she projected while she was playing,” Wein says on the phone from his New York office. “She was reaching out through her music. She just creates a feeling of joy.” He immediately asked her to join him for a show in Switzerland. She played the Newport Festival that summer and has been back, playing in one configuration or another, ever since. 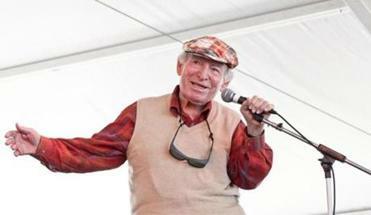 George Wein is the longtime producer of the Newport Jazz Festival. Wein and right-hand man Melnick are banking that programming these artists along with such established stars as Wynton Marsalis, Bobby McFerrin, Gary Burton, and Dr. John as well as the Newport NOW 60 band will keep the festival vital and relevant.